I am considering trying out ConTeXt, XeTeX, and LuaTeX, but one concern of mine is the fact that I am using a large number of LaTeX packages. There are a number of questions comparing these TeX derivatives with LaTeX. These two (here and here) seem relevant to this question of mine. What I am especially interested in is the functionality I presently get. Put in the simplest possible terms: The large number of LaTeX packages exists because they provide valuable functionality. It would seem hard to believe that ConTeXt is so advanced that all of these packages' functionality is not needed within ConTeXt. Similarly, I am wondering about present-day compatibility of LaTeX packages with XeTeX and LuaTeX. 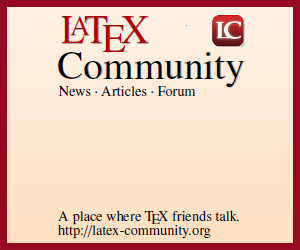 So, how much LaTeX functionality is easily available or needed in each of ConTeXt, XeTeX, and LuaTeX, and how do I make it available? For ConTeXt, I'll try to answer about the features that were mentioned in the comments. \textls (provided by microtype): I don't really know what \textls does. Based on cgnieder's comments, the \definecharacterkerning and \kerncharacters should provide equivalent functionality. IPA letters: Again, I don't know much about it. But if you have a font with IPA letters you should be simply able to type them. \scalefnt: Again I don't know what exactly \scalefnt is supposed to do. \raisebox: Use \raisebox (although the syntax is slightly different). And with the LaTeX module it should be possible to run bits of LaTeX code in ConTeXt. But, it's not fully developed yet. Not the answer you're looking for? Browse other questions tagged xetex packages luatex context comparison or ask your own question. Can you use LaTeX packages in ConTeXt/emulate ConTeXt in LaTeX? Is there any way for LaTeX to provide a file context for better log messages? Context : How to install and use new opentype (math) fonts?